The Tivoli Music System+ is compact, elegant and powerful and it’s an all-in-one sound system that aims to bring you true digital sound immersion in your home. It uses bluetooth technology to allow you to connect to your device to stream from your favourite streaming app or playlist. It has a great sound quality with a subwoofer system that is adjustable. With an inbuilt CD slot (remember those CDs you’ve still got on your bookshelves? 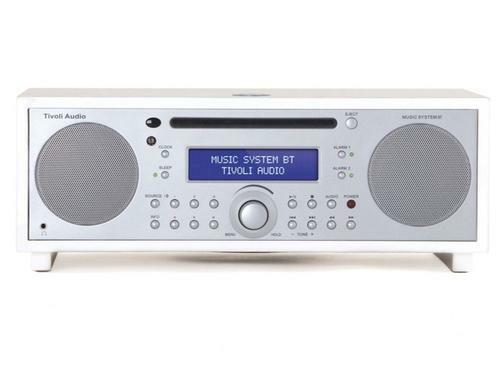 ), as well as an auxiliary input slot, FM, and DAB/DAB+ reception, it caters for all your needs. It’s small enough to fit on your bookshelf or grace your kitchen bench, with a digital clock and alarm too. The Tivoli comes in a range of outer casings from piano white, black/ash and walnut to suit your décor.